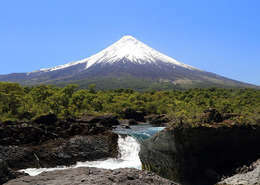 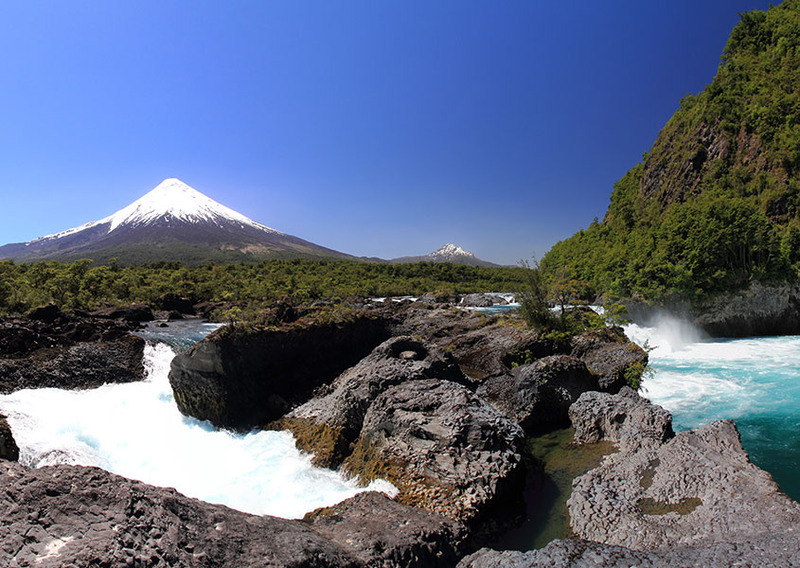 This volcano, named huipiche native Peripillán , owes its current name because it is indicated that it was visible to the Spanish founders from the relatively nearby city of Osorno . It has an altitude of 2652 meters and its imposing conical feature rises majestically opposite the city of Llanquihue and Frutillar, of which only the transparent waters of Lake Llanquihue separate it. Its volcanic inactivity continues for more than a century and a quarter. 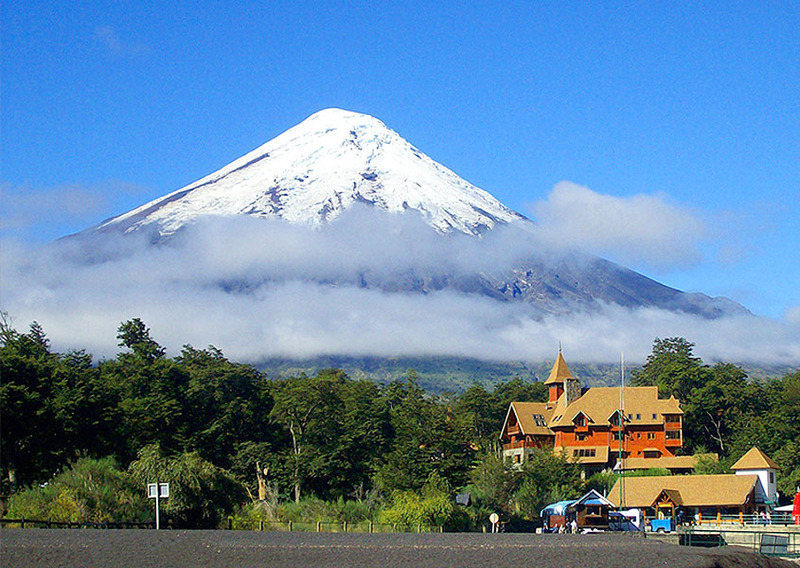 On its slopes there are shelters that allow in the winter the practice of skiing and white sports. In summer, with the melting of the snow, reappear volcanic rocks that make hiking a dangerous sport, if they do not take into account all the necessary conditions for the practice of this discipline. 09: 00h We will start our tour from Puerto Varas "the city of Roses", bordering the Llanquihue Lake we will enjoy a beautiful view with the Osorno and Calbuco snowcapped volcanoes, until we reach the Ensenada sector from where we will start the ascent until we reach the Centro de SKI and Mountain Osorno Volcano. 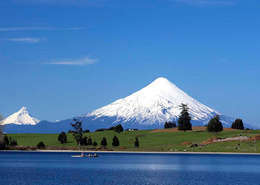 We will be around an hour where there will be time to enjoy the landscape, take photographs, and appreciate an incomparable view of the summit of the volcanoes with their eternal snow glaciers, Calbuco, Lake Llanquihue and the Pacific Ocean.